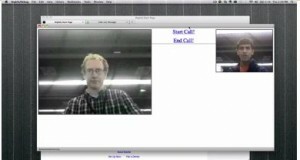 WebRTC: Video Chats in Browser, No Plugin Required! What is your main means of communication? The chances of video chat being up in the list is rather high, especially if you are based in a location far from your family and friends. With the technological advances that we enjoy today, video chat has become a major mode of communication. There are many different providers which offer video chat services, many of them free. While that is convenient, there is the issue of having to download and install those programs. What if you can do a video chat on your browser without having to install a plugin or any other program? This is exactly what the creators of WebRTC had in mind when they conceptualized the web standard. Currently, the standard is still in the works, with revisions and tweaks being implemented. At this early stage, however, WebRTC is already garnering positive feedback, with users saying that it is simple and it works. It has even gathered the support of giants in the browser world such as Mozilla, Opera, and naturally, Google. Want to see proof of what might be in store for the future of video chat? Here is a video showcasing WebRTC on Mozilla. It is simply a demo, and even the guys of Mozilla says it is too early for conclusions, but they are rather excited about the possibilities. Is WebRTC the harbinger of bad news for platforms such as Skype? Will you be tempted to forego all the other video chat programs for in-browser video chat? If WebRTC would come like app for Chrome browser it could be a great idea. But just to use it by accessing it via browsers address bar does’t feel tempting. I believe that Google already have their video chat service available via Chrome OS, right?